Pandora isn’t the only one trying to reduce its payments to musicians and songwriters. Right now, in a federal courtroom in Philadelphia, a consortium of more than 10,000 traditional radio broadcasters is taking legal action to reduce payouts to songwriters and publishers. And they’re focusing their guns on the smallest performance rights collector, SESAC. Of course, traditional radio stations already enjoy free licenses on recordings. But this would lower the licensing bill even further. 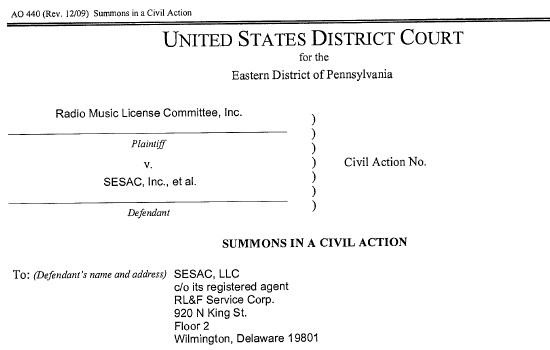 The action is happening the US District Court for the Eastern District of Pennsylvania, where the Radio Music License Committee, Inc. (RMLC) is arguing that SESAC is using loopholes to charge ‘exorbitant’ rates for performances of its songs. This is an anti-competitive, anti-trust accusation, based on allegations that SESAC is unfairly leveraging its exclusive catalog rights to force higher payments on ‘must have’ songs. ”We feel that SESAC’s pattern of increasingly exorbitant rates imposed on our industry without resort to a fair process has left us with no other alternative,” said RMLC chairman Ed Christian. But wait: songs cost money, and songwriters deserve to get paid. So can’t SESAC charge whatever it wants? Not according to the RMLC: the ‘fair process’ is a reference to much larger collection societies ASCAP and BMI, both of whom are subject to agreements forged with the US Government, specifically ‘consent decrees’ with the Department of Justice. SESAC, a privately-held, for-profit group, exists outside of those agreements, and typically forces higher payouts on stations as a result. All of which means ASCAP and BMI offer cheaper and more predictable rates (which radio loves), while SESAC pushes – and wins – far higher rates (which of course, radio hates). 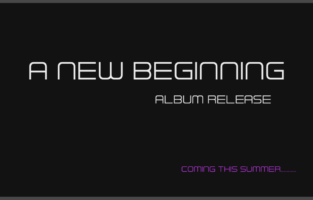 So why not simply skip the SESAC songs entirely? After all, in a free market, if you can’t afford to play a song, then you wouldn’t play it. 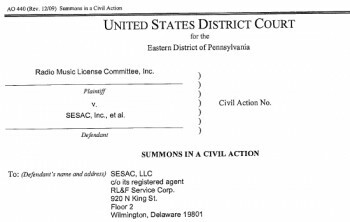 But the RMLC argues that SESAC is purposely opaque about which songs it actually controls, and its catalog is easily mixed into broader station playlists. 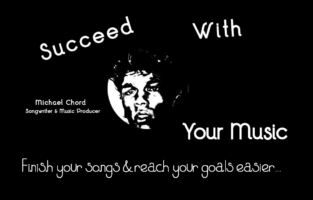 That includes songs judged to be critical to station setlists, a situation that gives SESAC lots of leverage to secure greater licensing prices.